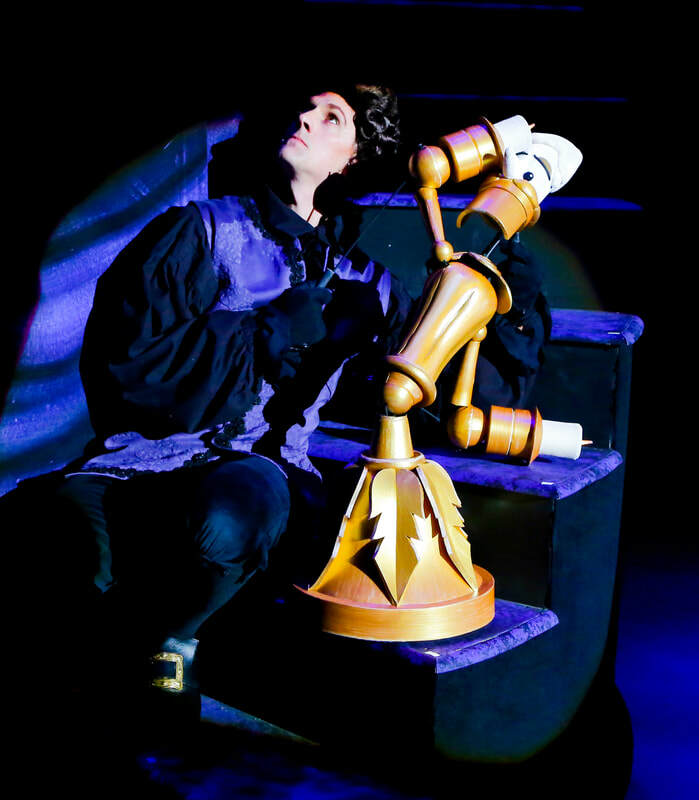 Brendan was just NOMINATED for a CARBONELL AWARD for his role as Lumière in the Maltz Jupiter Theatre's "Beauty and the Beast"! Brendan Malafronte as Hawking, and Carson Higgins as the Traveller in Ludo's Broken Bride. "... he meets a snuffling, trilling, many-fanged little creature named Hawking (a scene-stealing puppet, winsomely voiced and operated by Brendan Malafronte)." "When you can handle a puppet and allow yourself to melt away, you've won. Brendan Malafronte was a winner. The noises that came from him were comical, playful, and a whole lotta fun." ".. coming off spotless is Brendan Malafronte as a dino dog with as much personality as Muttley." 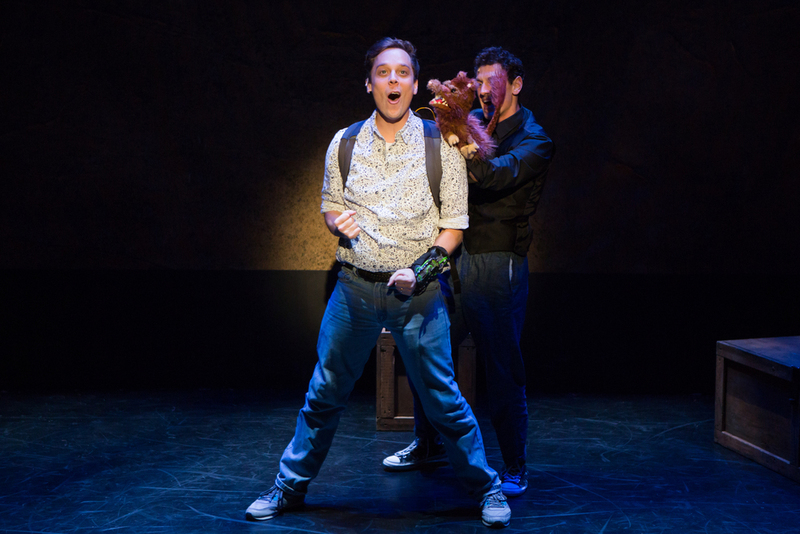 "Brendan Malafronte creates a charming show stealer with his rat-like prehistoric beast named Hawking".